Have you ever heard of these? It is basically a smoothie bowl. 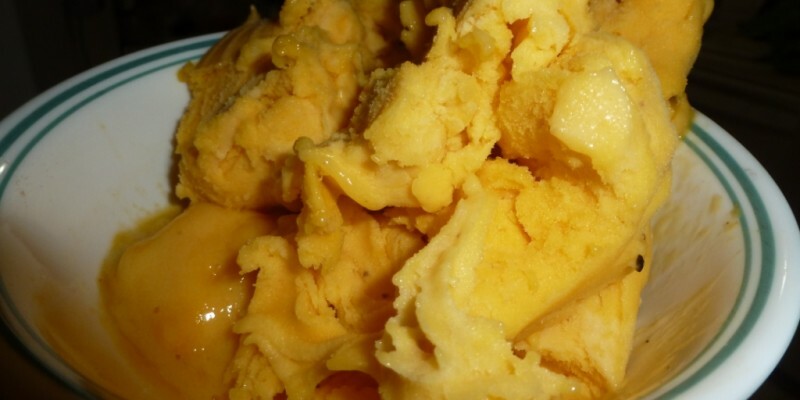 Imagine eating some frozen yogurt with fresh, juicy fruit on top. That is basically what this is, except all of the sugar is completely natural and there is no dairy. Therefore, no guilt plus tons of nutrition! A wonderful thing to have, especially when it’s hot and you want something cool and refreshing. These are so easy to make and so delicious! Of course, it also helps that it’s raw vegan and gluten free! Run the açaí packs under hot water for 10 seconds, then squeeze them out into a blender. Add the unsliced banana and coconut water, and blend into an even consistency. Pour smoothie into a bowl and arrange the rest of the fruit on top to your liking. Grab a spoon and dig in! 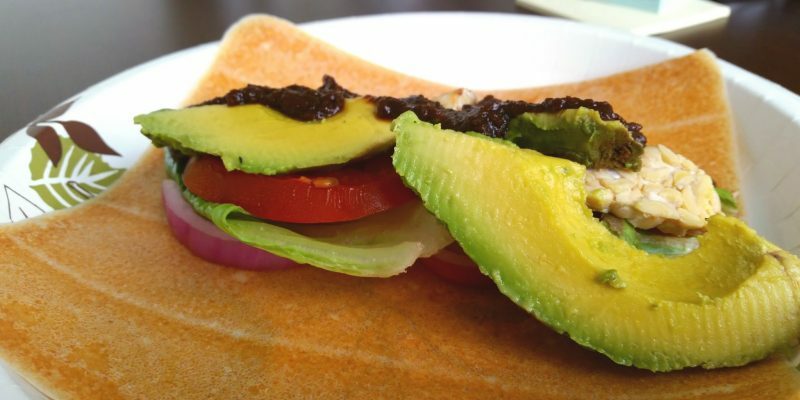 This raw vegan, gluten free wrap is so easy to whip up! In actuality, you can choose what items you want in the wrap but I chose these because my taste buds prefer them. What I love is that you can make the barbecue sauce ahead of time and then just assemble the rest of the items at your own leisure. 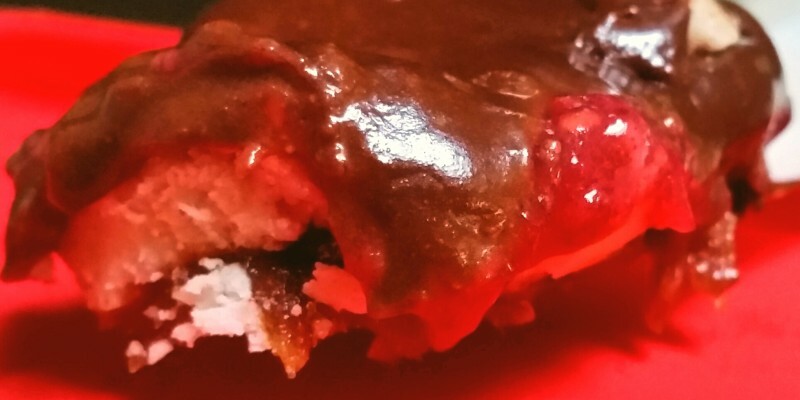 The barbecue sauce takes only a few minutes to whip up, and you’re done! Drain tomatoes, reserving the water. Add garlic and onion to food processor or blender and blend. Add reserved water, a little at a time, until desired consistency is reached. 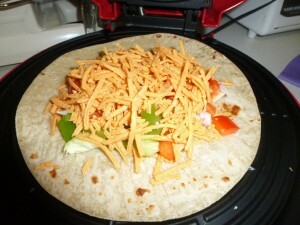 Arrange vegetables and tempeh on wrap. Want an easy way to sneak in some extra protein while giving yourself a sweet treat at the same time? 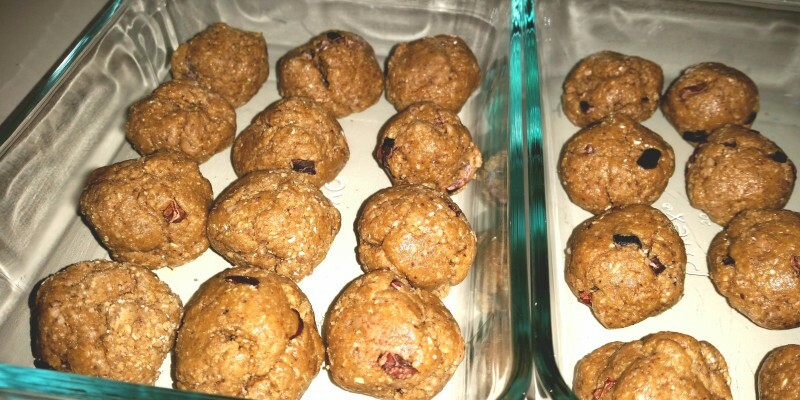 How about some gluten free, vegan cookie dough protein balls? These require no baking and is quick and easy to make! As always, if you click the ingredient, you’ll be directed to the Amazon page for that ingredient if you have trouble finding it in a store. Blend almonds and water and strain through a cheesecloth or nut milk bag to make almond milk. Roll into balls and place in refrigerator to set. Ooey gooey chocolate mixed with raspberry jam??? Where can I get some?!? Well, try these raw vegan, gluten free chocolate raspberry coconut layer bars to satisfy your cravings! They’re easy to make and delicious! 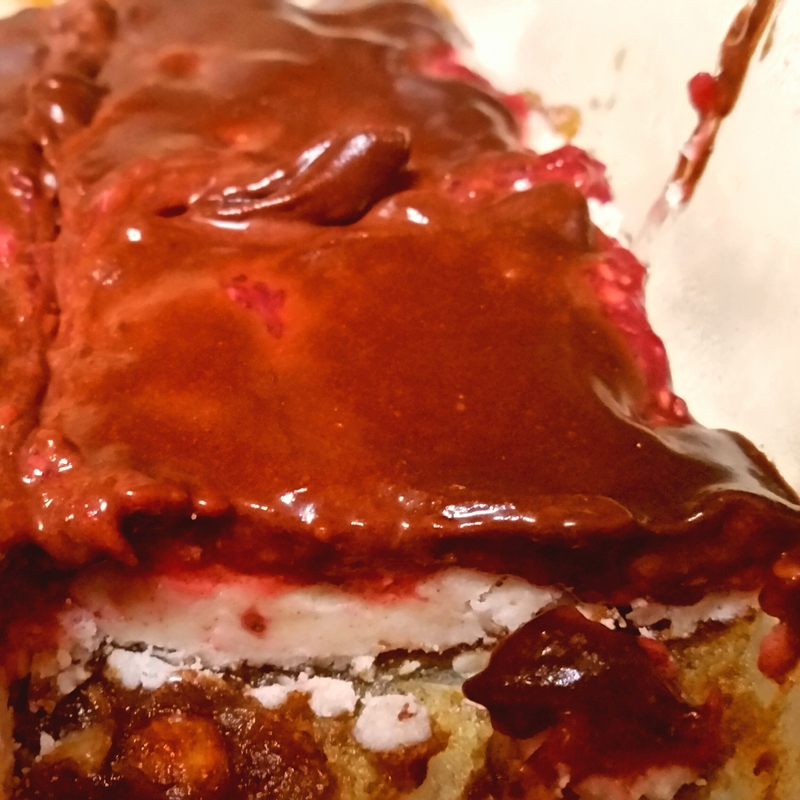 You have a caramel-like bottom layer, then a coconut cream layer, then raspberry jam, followed by chocolate on top, to create a wonderful mesh of flavors! This recipe calls for melted coconut oil – do not microwave the oil to melt it. That will kill the nutrients. Coconut oil’s melting point is only 76 degrees, so put the oil in a small container over a container of steaming hot water. 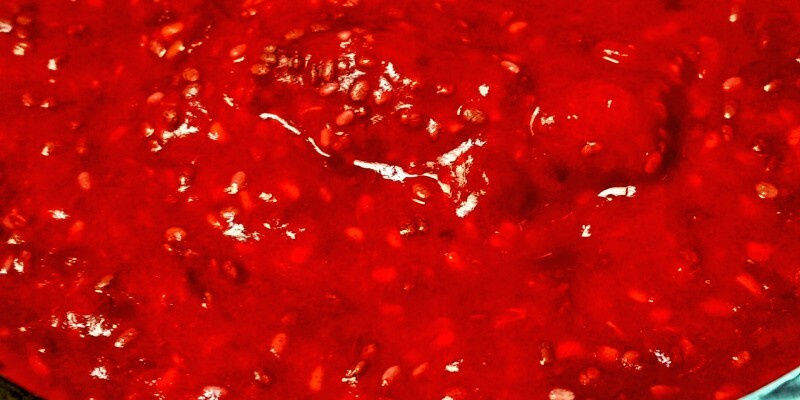 1 cup Raspberry Jam: Click for recipe – make at least 2 hours ahead of time. Blend bottom layer ingredients in a food processor or blender. Spread along the bottom of a glass pan. Blend coconut layer ingredients in a food processor or blender and spread on top of the bottom layer. Layer raspberry jam on top. Blend chocolate layer ingredients in a food processor blender and pour over the top. Freeze for an hour to set. Cut into rectangles and then leave in the refrigerator. Raw vegan raspberry jam – what more is there to say? This is super simple to make, and delicious! I love having different ways of eating fruit! So the next time you want jam, make your own! Blend dates with water, then add raspberries. So easy and so quick to make, and a great way to get some potassium, zinc, iron, and manganese, not to mention vitamins A, B, C, and E! This raw vegan, gluten free delight is my favorite way to eat fruit! 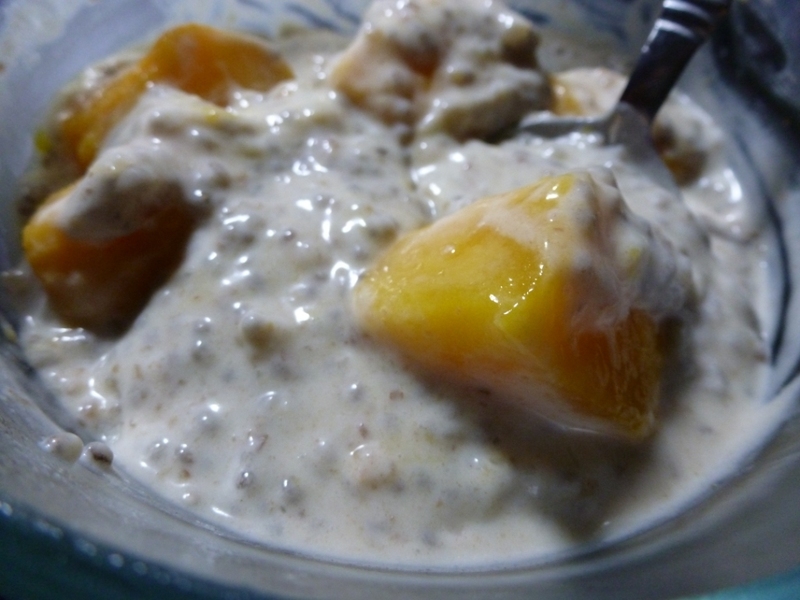 You can use other fruits, of course, instead of mango and pineapple, but the banana is necessary to sweeten it. I find that raspberries result in a slightly unpleasant texture due to the seeds. The easiest way to make this is to use a juicer with a homogenizer attachment, which should be found with most single and twin gear juicers. I’ll provide a recipe for use with a blender but I cannot entirely vouch for it, and it may result in more of a soft serve than a sorbet. Break up the banana into 6 pieces. Put through juicer using homogenizer attachment, alternating fruits. I put a couple pieces of pineapple, followed by a piece of banana, and then a couple pieces of mango. Let banana sit out at room temperature for about 10 minutes. 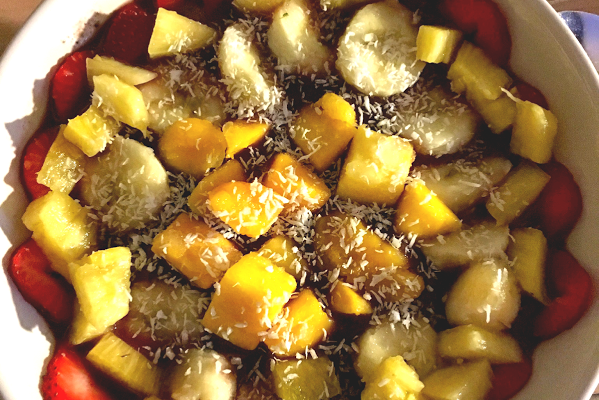 Blend pineapples and mangoes to break them up, then add the banana. You may have to stop the blender and scoop the sides many times before everything comes together. 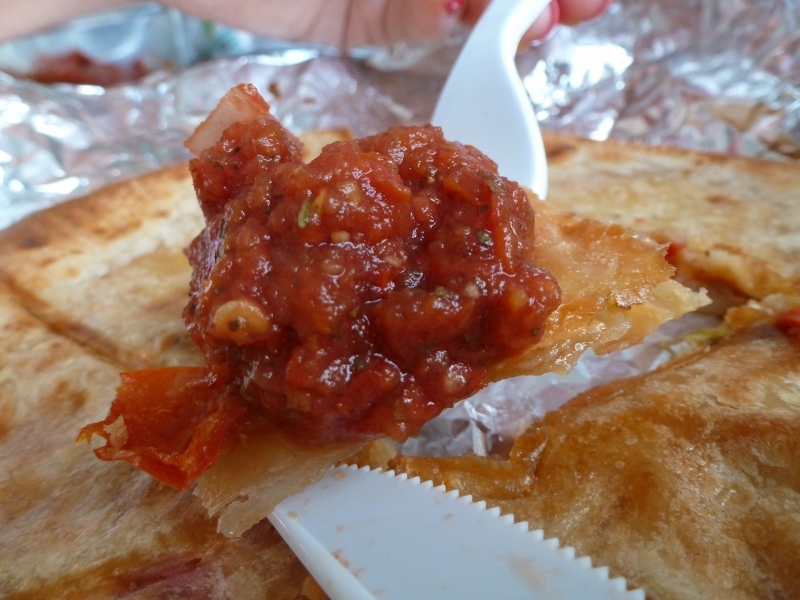 I seriously, seriously love these quesadillas. When I first started going vegan, these were my go-to meals. They are so delicious and very easy on the digestive system. Cleanse-friendly! For those who are having trouble weaning off dairy, I highly suggest these quesadillas. It took a while for me to create a salsa I would like that would mimic the jarred salsas, and I think this one does the trick. The quesadillas themselves are not raw vegan, but I do not cook the vegetables or the cheese I use in them and instead let them get heated up within the tortillas. The salsa is raw vegan, however. This entire recipe can be made gluten free by using the brown rice tortillas. 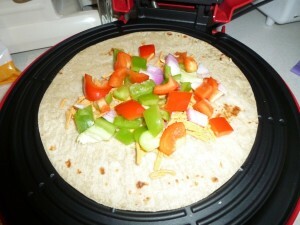 Now, I use a quesadilla maker to make my quesadillas. It’s an inexpensive piece of equipment which saves me a lot of time and hassle, since it’s so easy to clean and I won’t have to worry about all my ingredients falling out of my tortillas when I flip them. Place one tortilla on quesadilla maker. Add a couple tablespoons of shredded cheese, followed by a third of the vegetables, and then the rest of the third of the cheese. Place another tortilla on top and press the quesadilla maker closed. Alternatively, you would heat a large pan on medium high heat with a small amount of olive oil (or none if you prefer). Assemble the quesadilla accordingly and then place on the pan, pressing down on the quesadilla until the bottom becomes a golden brown. Flip and repeat the process for the other side. Serve immediately, or wrap in aluminum foil and store for later. 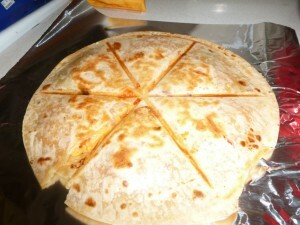 To reheat, simply place the quesadilla on a sheet of foil and heat in a toaster oven. I put it on Toast for Medium-Low. First add the sundried tomatoes, dates, and garlic into the food processor or blender to break them up. Add the rest of the ingredients except for the tomatoes and onion and blend. Cut 2 tomatoes into quarters or however size that will allow them to fit and move around in your food processor or blender and blend. 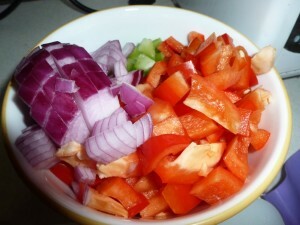 Add the last chopped tomato and onion and pulse until all ingredients are incorporated. If you haven’t already heard, chia seeds are awesome for you. They have those essential Omega fatty acids and have plenty of protein and fiber. They are incredibly useful when you want to figure out a way to have guilt free yet absolutely healthy and nutritious pudding. This totally hits the spot for me when I want something sweet, cold and creamy. 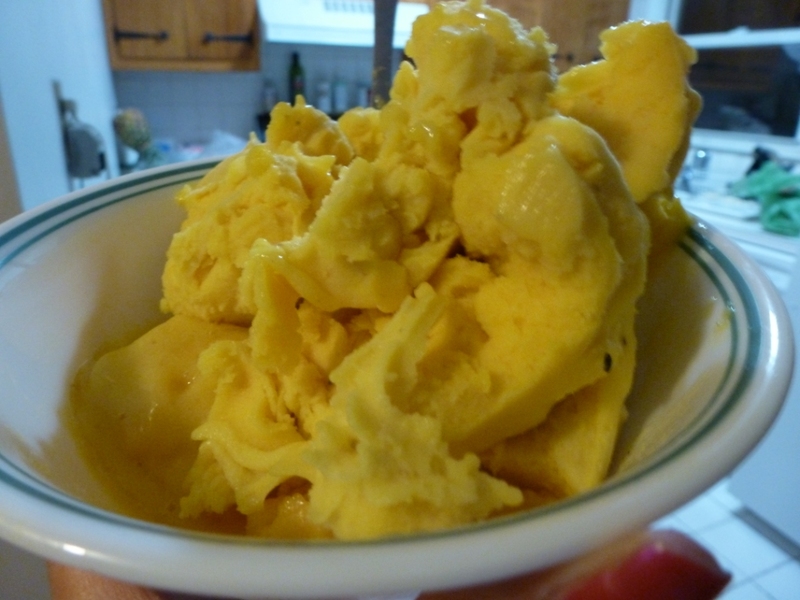 You can use any frozen fruit you want, but I love adding frozen mango because as the mango defrosts, the juices spread throughout the rest of the pudding. Chia seeds are also wonderful for your digestive system. So if you are looking to lose weight, definitely have some of this raw vegan, gluten free pudding! Blend dates in food processor or blender. Add coconut milk and extracts and blend. Divide mixture into 4 containers and stir in 1 tbsp seeds into each container. Top with frozen fruit and let sit in fridge for at least 2 hours. Keeps for about 4 days. I whipped thi1s up using leftover berries and some sweetener, so keep in mind these measurements are approximations. It is super simple but still delicious. Frozen leftover pineapples were included within the picture shown below. Purée half the berries with the agave nectar or maple syrup. Add remaining berries and pulse. Serve by spooning some of the compote on top of the pudding. Store separately from pudding. 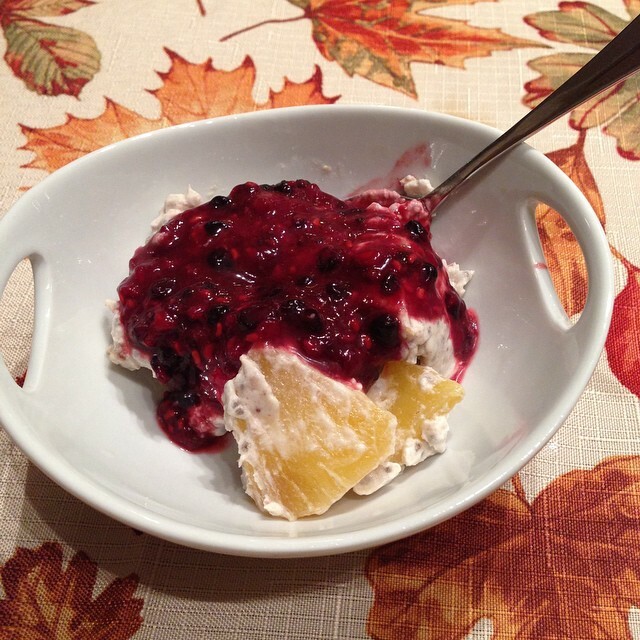 I can’t think of many things better than guilt free, healthy dessert. I mean, how can you go wrong with dessert that’s actually GOOD for you?? So I have a thing for raspberry jam. 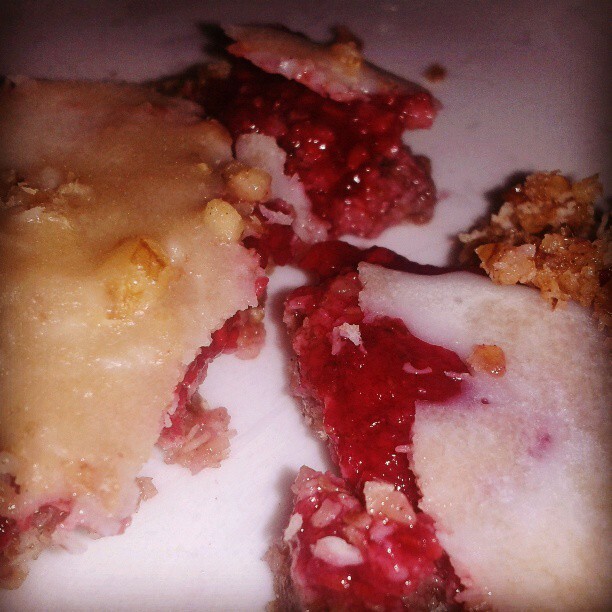 These bars are basically bars with raspberry jam, topped with icing. The awesome part is that they’re made with chia seeds, which are superb for your body and contain the essential omega fatty acids. Plus, raspberry has lots of antioxidants and coconut water has electrolytes. Then you got nuts for more protein and fiber…it’s crazy that dessert can do so much good to your body. So definitely try out these raw vegan, gluten free bars. Your body AND your taste buds will thank you! Eating clean never tasted so good! So check out this awesome and easy recipe below. Blend all ingredients and press onto a wax/parchment lined pan. Set in fridge to firm up. Blend water and dates until the dates have broken up. Add raspberries and chia seeds and pulse until it gets that chunky jam look. Place in a glass container and cover. Place in fridge for at least 30 minutes for the flavors to infuse and the chia seeds to thicken up the jam. To assemble, spread this on top of the base. Pulse until crumbly. Sprinkle over the raspberry later. Optional to sprinkle a couple tablespoons of raw cacao nibs as well if you like dark chocolate. Mix together. Drizzle at the top. Place your bars in the fridge to set.